1 of 5 smashed Afridhi skulls. without proper editing, spelling correction, or indexing (yeah, that means placeholders in the ongoing text). This is, by far, the worst edited roleplaying book I've ever seen, apart from Wizard's "Expeditition to Castle Ravenloft". And I have seen a lot. So, alone for that, the worst possible grade is well earned. The content itself is not bad, though, basically being a summary of much that was introduced in the MMRPG in the first two years of its run, if maybe a bit too generic for my taste. - In fact, I even took quite a bit from the BMPG book for my own game, and never regretted it. BUT the book's presentation and layout are simply unacceptable for a piece that supposedly cost 35 bucks back in its day. Basically, if you can get this one for cheap, enjoy it. But if some crazy ebay seller wants to sell it for a fortune, gladly pass. The paizo and amazon prizes are fair, but, as I said, don't expect anything above average from this book. The review is a little harsh, but I guess this isn't my favorite in the D20 Blackmoor line either. 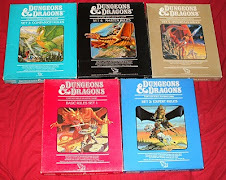 Still, if you are a D20 fan, there is plenty of stuff in the book that you could use. There are new classes, new prestige classes, new feats, new spells and so on. 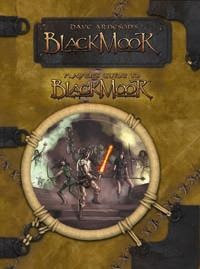 I guess what I am missing in the book is more Blackmoor specific setting information. My favorite parts of the book are the sections on various organizations and the section on temples. I really liked the idea of the players being able to become apprentices of some of the official Blackmoor NPCs this is a great way of including those NPCs in the campaign. For this and more reviews of Blackmoor products, check out the Merchant's Guild section at the Comeback Inn Forum. How can someone publish a draft manuscript? Seriously. This is one reason why we flip through books at the store.